‘We don't have to be all things to all people in our market’, said Thorsten Heins, President and CEO, BlackBerry in Q1, no wonder the company wants to sell itself before November falls. The recent news of Nokia opens its gates to Microsoft created a lot of buzz in the market which left Blackberry eagerly waiting for a prospective buyer. The present situation of Blackberry was quite anticipated as it had opted to raise over a billion dollar by reducing its headcount to build its own Ecosystem. 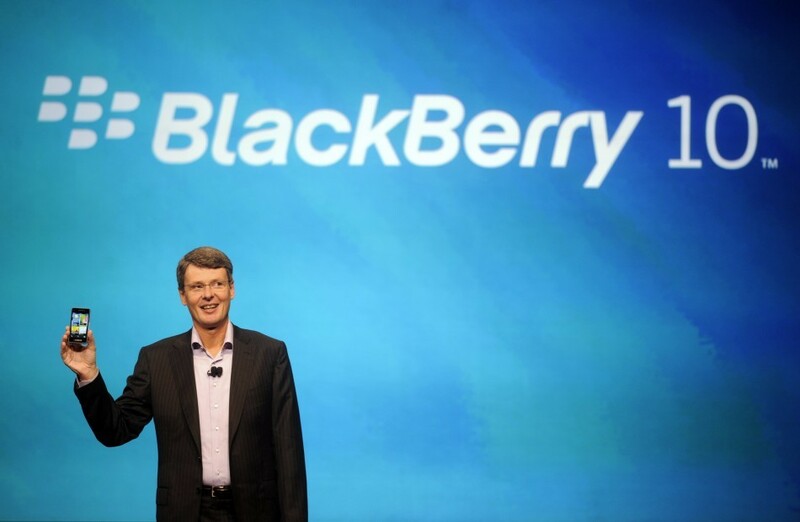 Thorsten Heins led Blackberry into a new direction which seemed promising but nothing could keep the company afloat. The fact that Mr. Heins failed to lift up the company, now all eyes are on him if he can at least do the job of selling the company, and if he does, it would be the most profitable thing he might have ever done in quite some time. At current prices, Bloomberg estimates Heins' compensation package could be worth approximately $44 million if ousted after sale, plus bonus benefits and retirement savings and equity awards may bring in a couple more million for him, the total figure could go as much as $55.6 million. He would be pretty much desperate to look out for a prospective buyer to take in the troublesome Blackberry. Fairfax Financial and its Chief Executive, Prem Watsa, which hold approximately 11 per cent of BlackBerry, are considered among possible buyers. Watsa resigned from the BlackBerry Board due to potential conflicts of interest. · By the time this year ends, BlackBerry's pile of cash could be as much as $2.6 billion, which is quite low. · Also, if one considers their patents and intellectual property, it could be between $1 billion apiece, or $4 billion in total. · The Enterprise Data Network should be about $1.2 billion worth to its highest bidder; and additional software can be at $1.5 billion but, minus the $800 million which is an estimated figure of shuttering its handset business. · In total, the Company could be worth between the range of $5.5 billion, or $10.50 per share, or as much as $8.5 billion if broken up. · Three of their four regions returned to sequential revenue growth as BlackBerry 10 continues its roll out; Europe, Middle East and Africa their largest regions, represented 43% of revenue in Q1 and was up 9%, North America represented 25% of revenue and was up 30%, Asia Pacific represented 17% of revenue and grew 35%. · Blackberry shipped 6.8 million smartphones in the first quarter compared to 6 million in the fourth quarter which represented a 13% increase. Approximately 40% of these devices were BlackBerry 10 devices. · BlackBerry 10 is now available across 147 countries including the United States and has been an effective launch product to showcase the renewed and re-engineered BlackBerry 10 experience to both consumers and enterprises. · BlackBerry 10 QWERTY devices started its rollout late in the first quarter and with over 320 carrier acceptances completed today. · Q10 is now available in 96 countries including the U.S. with 50 more countries expected to launch within Q2. · Secure Work Space offers an idea of BYOD mobile security solution providing organization the flexibility to embrace BYOD on multiple platforms without sacrificing security. · 60% of BlackBerry Fortune 500 customers have already ordered, downloaded or installed BES 10. · Generated cash flow from operations of $630 million in Q1 and ended Q1 with $3.1 billion in cash, highest cash position in the past three years. · Revenue for the first quarter fiscal 2014 was 3.1 billion, up 15% from the fourth quarter and up approximately 9% from one year ago. · Looking at their revenue mix, hardware revenues grew by 33% when compared to the fourth quarter and was approximately $2.2 billion. · Service revenue was approximately $794 million or 26% of revenue and was down $153 million or 16% from the fourth quarter. Now everyone's guessing who would be the one to acquire Blackberry, the news can come out in the near or not too distant future.